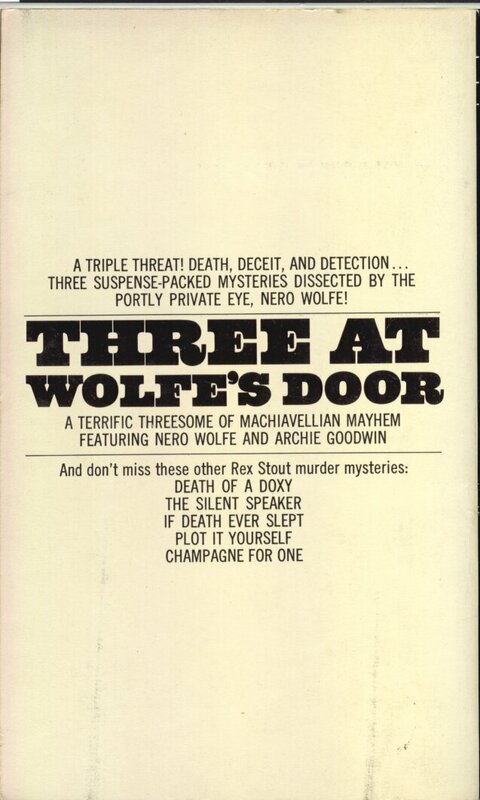 Three At Wolfe’s Door – 19?? 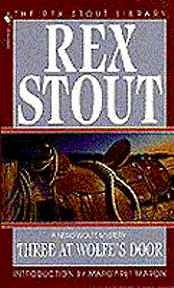 Publishing date unknown but, this cover appears to be one of the reissues from the early 1990’s. 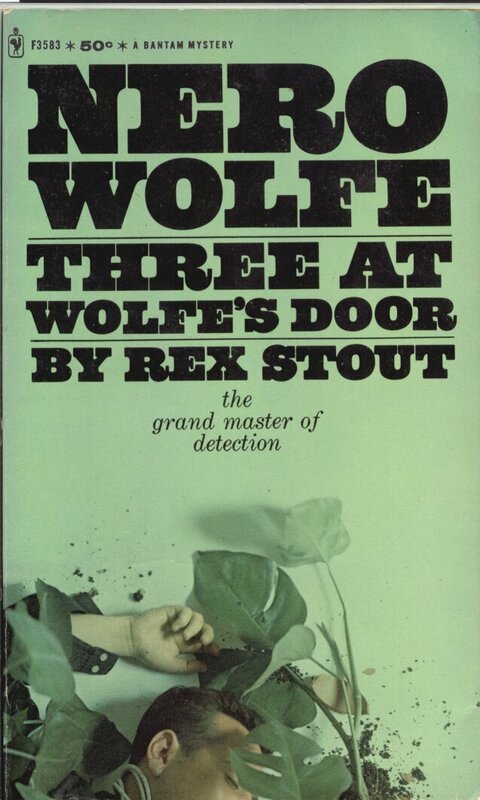 Three suspense-packed mysteries dissected by the portly private eye, Nero Wolfe! 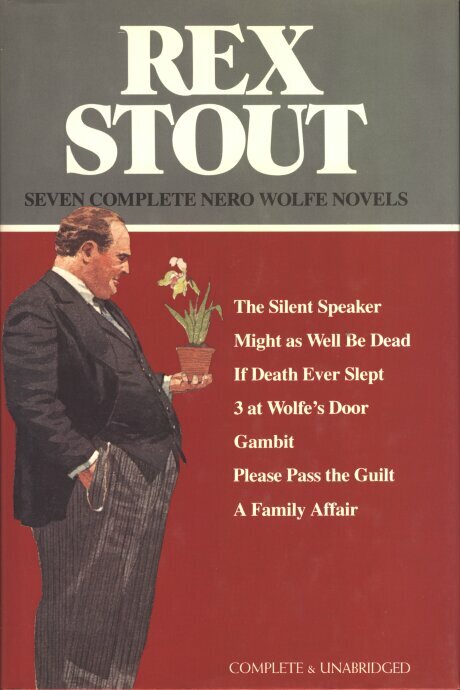 portly private eye, Nero Wolfe!